Sugar, cocoa mass, cocoa butter, milk butter, emulsifier (sunflower lecithin), flavor, min. 50% cocoa. Lindt chocolates are specially developed to enjoy the senses. The new chocolates filling extra-pi..
Lindt Excellence 70% cacao reveals a mildly aromatic taste experience for dark chocolate lovers. 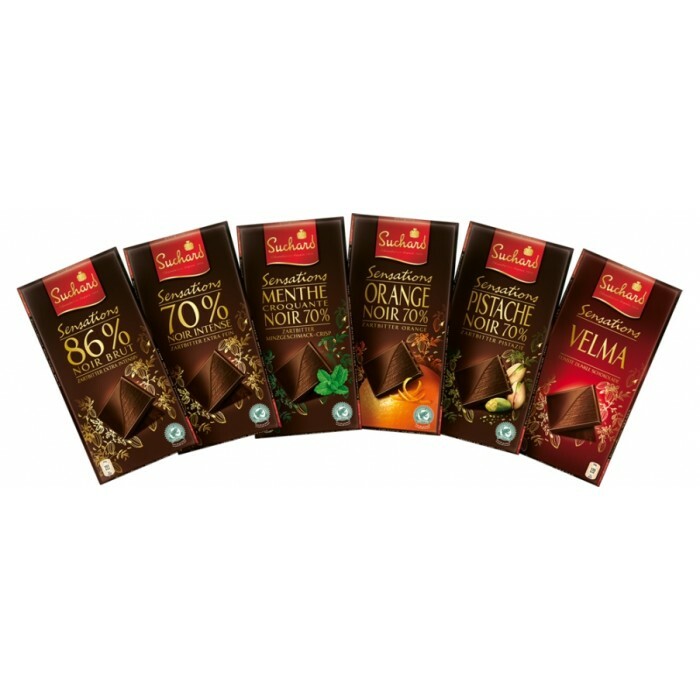 ..
Lindt Excellence 70% cacao pocket bar reveals a mildly aromatic taste experience for dark chocola.. Discover in this extra-intense dark chocolate with an unusually high percentage of cocoa from 86%.. Experience a unique taste experience - because in the classic noir orange tart note of dark choco..
Suchard Finessa Almond & honey 130g - dark chocolate filled with honeynougat with almonds ( 6..
Suchard Finessa Coconut 150g - dark chocolate filled with coconut 67%. 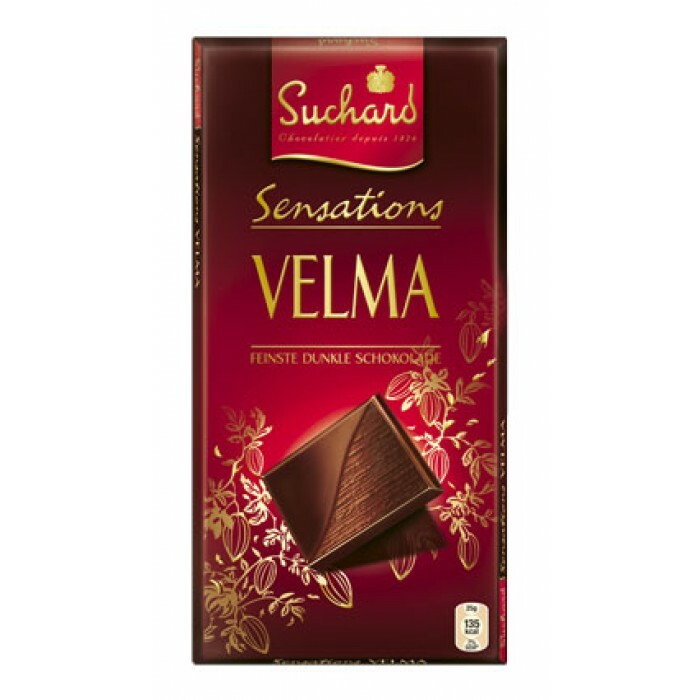 Ingredients: ..
Suchard Finessa Marzipan 150g - dark chocolate with Marzipan filing 74%. 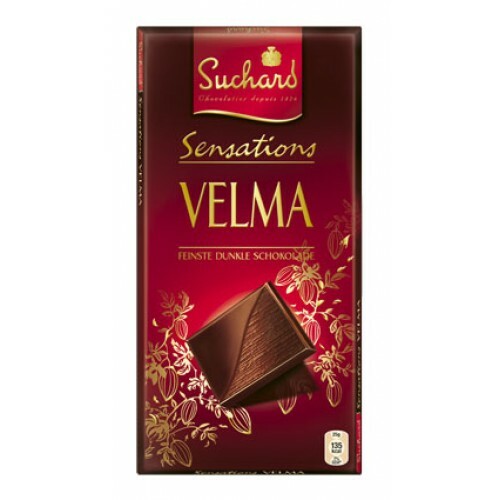 Ingredients: ..
Suchard Sensations Medallion Pralines - 200g chocolates from the new collection of luxury Suchard..